Observation - Caterpillar - UK and Ireland. 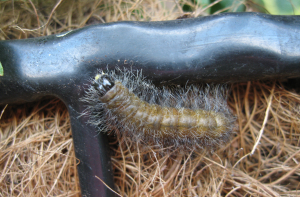 Description: unknown ?caterpillar observed on wall basket on house. unknown ?caterpillar observed on wall basket on house.